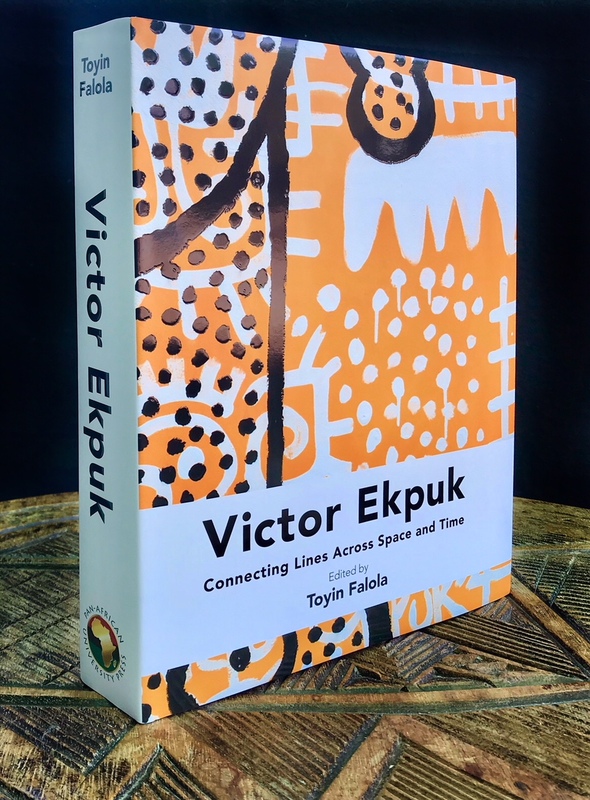 Victor Ekpuk, the artist from Nigeria well known for his Nsibidi inspired poetic paintings, releases a self-titled voluminous book Victor Ekpuk: Connecting Lines Across Space and Time. Edited by Toyin Falola, an eminent Professor of African History at the University of Texas at Austin, the biographical publication contains images of Ekpuk’s work and essays by thirteen scholars who explore and analyse different phases of his work and practice over twenty-five years. Ekpuk is known for his use of lines, signs and symbols, particularly, symbols related to Nsibidi. In this book, his works are critically examined in relation to aesthetics, temporal meanings, the time and space in which they exist and their cultural significance. Scholars such as Amanda Carlson, Aderonke Adesanya, Sylvester Ogbechie and Andrea Frohne elaborate on Ekpuk’s use of language and symbols. Beyond Nsibidi, Ekpuk’s diverse artistic expressions are also examined. 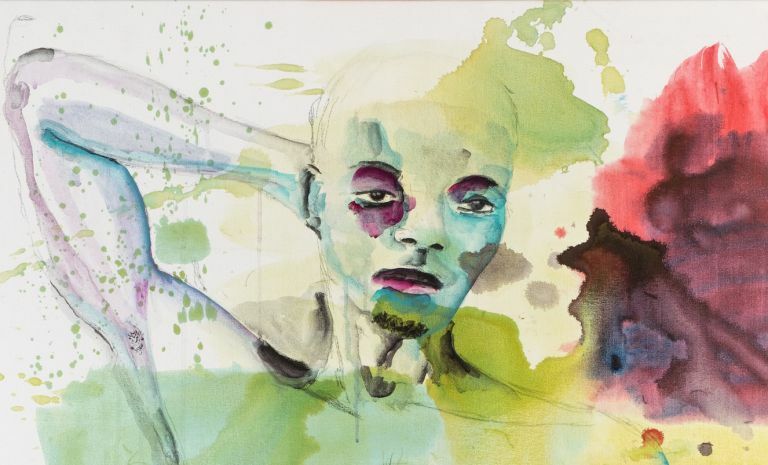 Dr. Kunle Filani, the artist former teacher at the University of Ife, offers insight into the educational background that guided his practice. Professor Dele Jegede expands on the composition and influences of Ekpuk’s works and how he came to his own unique expressions over time. Other contributors include Vincent OluwatoyinAdepoju, ChristopherAdejumo, Falola Toyin, Imo Nse Imeh, Ugochukwu-SmoothNzewi, Sylvester OkwunoduOgbechie, Moyo Okediji, AllysonPurpura, and Onoyom Ukpong. 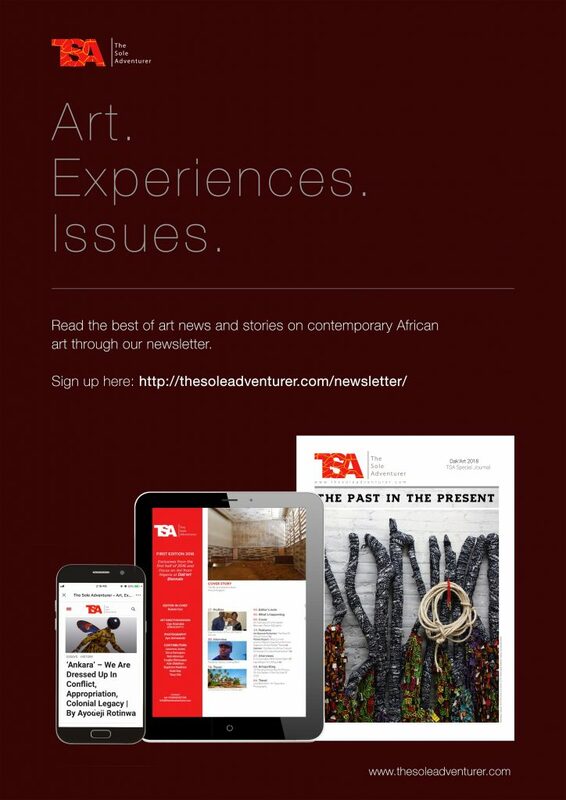 Connecting Lines Across Space and Time, a significant and impressive publication, joins the growing resources on Nigerian artists and contemporary African art. Others in recent times are Obiora Udechukwu: Line, Image and Text by Professor Chika Okeke-Agulu, The Art of Nigerian Women written and published by Chukwuemeka Bosah along with other contributors, Àsìkò: On the Future of Artistic and Curatorial Pedagogies in Africa published by Centre for Contemporary Art, Lagos and Recent Histories: Contemporary African Photography and Video Art from The Walther Collection. “This book captures the full essence of Victor Ekpuk’s work as an artist of global reputation, a master of mysterious scripts, and ancient signs and symbols. His messages, encrypted in symbols and signs inspired by nsibidi, find expression in paintings, illustrations, cartoons and murals. 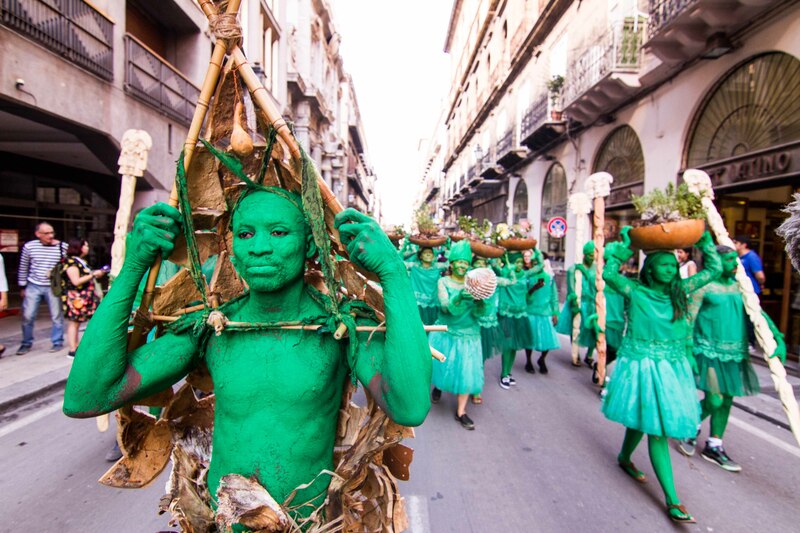 His powerful messages are encrypted in ways that are sometimes obvious, often times complex, and subject to multiple ambiguous meanings, from the ritualised to the sacred, from the secularised to the mythical. In this book, a host of talented authors reflect on the artist, his background, the foundation of his creativity, and the interpretations of his symbolic messages”. Victor Ekpuk: Connecting Lines Across Space and Time will be launched in Lagos, Nigeria at the Art X Lagos International Art Fair in November 2018.